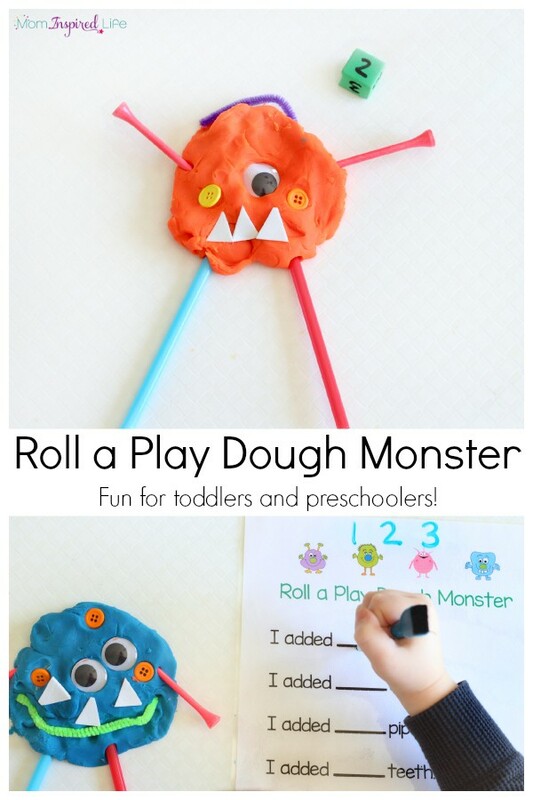 We had so much fun with this roll a play dough monster numbers activity! 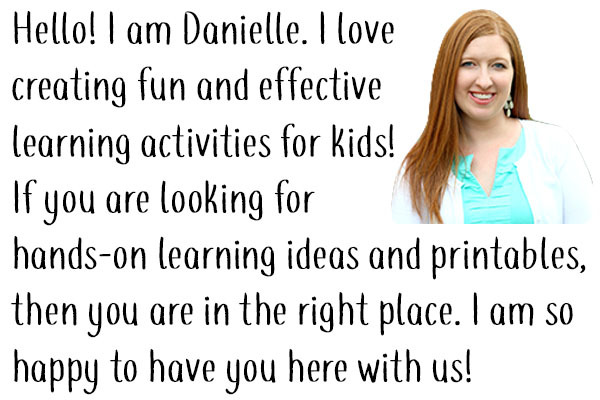 It even includes a free printable recording sheet. My kids loved it! 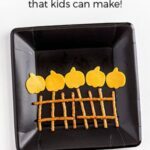 I’ve really been trying hard to create some activities that both of my kids can do at the same time. This is one of them! 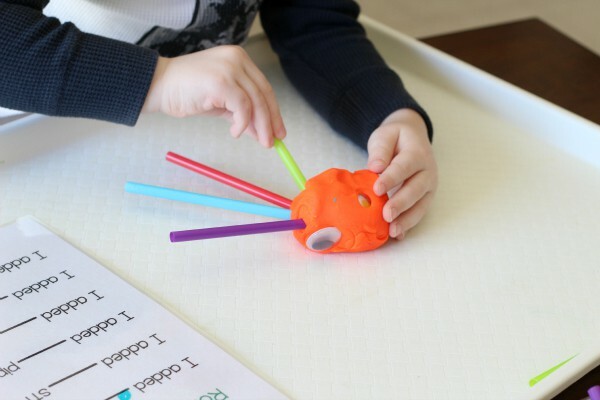 There are several different ways you can use this depending on the ages of your kids. Regardless of how you play it, it is sure to be lots of fun! 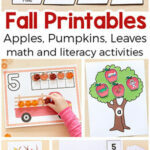 It is a great way for kids to develop fine motor skills and practice counting, number recognition and even writing! Die (dice) or a foam cube with numbers written on it. 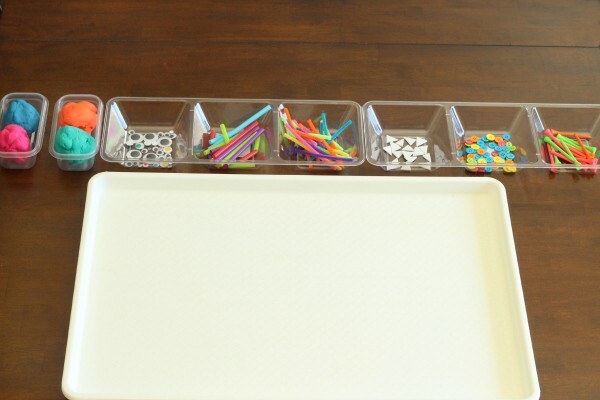 Set out all of the supplies in trays. 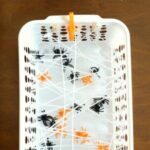 I used long trays with 3 compartments each that I got at Dollar Tree. I put two end to end and we had a monster making assembly line! I chose to use foam cube and write the numbers 1, 2 and 3 on it twice each. You could also do dots like a typical die, but I thought it would be a good way for my kids to practice number recognition. We tried with a normal die first, but after rolling a 6 multiple times, it became obvious that we needed to further limit the amount of each item because they were way too cluttered. I showed my kids the monster assembly line and they were SUPER excited to get started. I explained to my son that he was going to roll the die for each object and add that many to his monster. 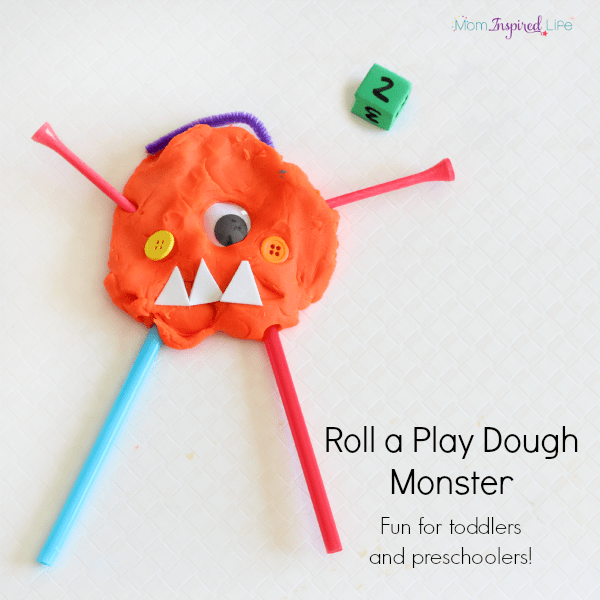 To begin, he chose his play dough and formed it into whatever shape he wanted. Then he started rolling the die and moving along the assembly line. 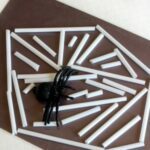 It was really neat to see how he used the supplies creatively. Pipe cleaners were antennae, hats and a smile. 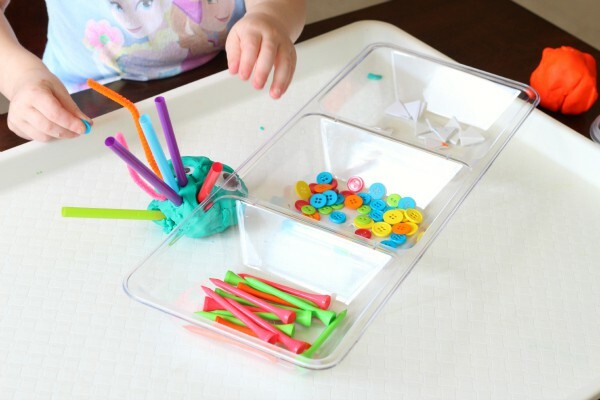 Straws were legs, arms or hair. The possibilities are endless! My two-year old went down the assembly line with me. She rolled the die and then I told her the number she landed on. 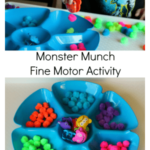 I helped her count out the amount of each object to put on the monster as well. However, if she wanted to add more or less of something, I didn’t protest. The same goes for my son. After my son made his monster, I helped him fill out the recording sheet. We found it was easier to do this after the monster was completely done. We went through the sheet item by item and he counted out how many of each were on his monster. I wrote the numbers at the top of the sheet for easy reference. This is totally optional. The activity is fun and effective either way. It was just another way for me to add in some writing practice. 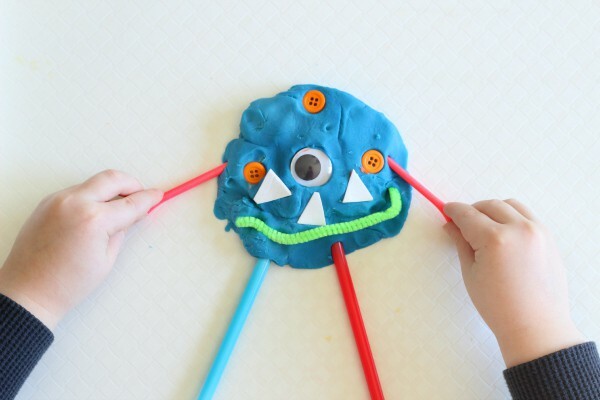 My kids also had lots of fun freely creating monsters. 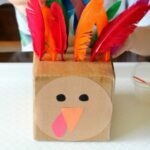 Overall, this activity happily occupied my kids for a long time and was a great way to develop lots of skills!